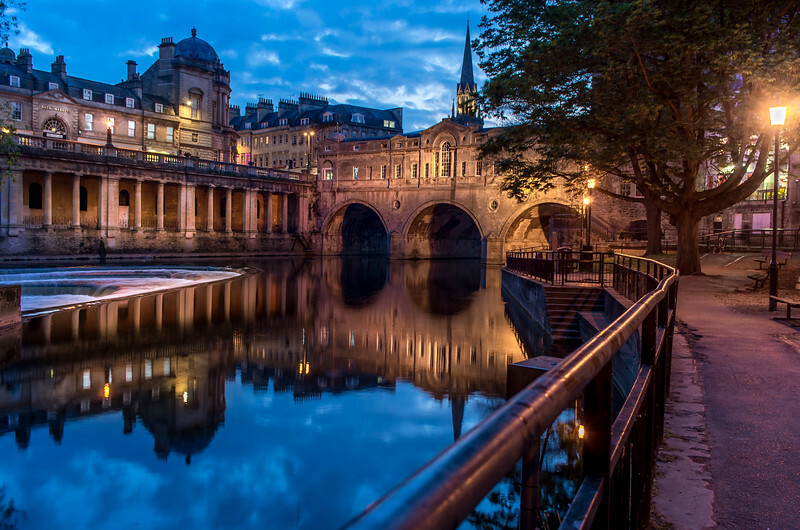 Night time at Bath, UK. At the end of the day of a bus tour. After supper we decided to go for a walk through the town of Bath. I took my little travel tripod with me, and this picture came to my eyes. By the time I got this shot, once again, I was far behind the rest of the group. This little story reminds me of my dad. He was an avid photographer, and as a child, I can remember complaining about "waiting while he took pictures" . We often joked/complained waiting for him to take a family picture, or him taking a macro or scenery shot . Later when I took up the hobby I figured it out. It takes time to absorb the scene before us, to determine how we want to shoot it, setup & shoot. Sometimes that is the most wonderful thing about this hobby, learning to see and appreciate things as we rush by, to "Stop and photograph the roses". I has some awesome times on the photo outings I did do with Dad, where we could spend hours in one area, just exploring photographically. I wish I had understood it earlier. Our impatience with him still comes back to me, in times like this day in Bath. I'm overly sensitive to holding up people from their activities, it's probably a main reason why I prefer to shoot alone, so I don't put pressure on myself due to holding people up. So, if you have a photographer friend who is always holding up the group, have some patience with him.